Treatments to protect wood, metal, glass or leather surfaces are nothing new. There have been countless items on the marketplace, including everything from waxes to oils, which can halt the worst ravages of man and nature. Each of these treatments, however, comes with drawbacks, such as sticky surfaces, waxy or oily residues, or they simply do not last very long. Today’s surface treatments are nanotechnology-based, proving to be much more effective and long lasting, without the drawbacks of traditional treatments. Nano-coating technologies work by adding an ultra-thin layer of polymers to a surface, rendering it superhydrophobic (extremely resistant to water and other liquids, preventing them from sticking or wetting it). In this way, the surface is protected for months at a time, all without changing its breathability or texture. Wood surfaces are porous, meaning that it will absorb fluids that come in contact with it. Water that permeates wood will, with time, expand and crack it. Traditional protections, like varnishes, work to form a non-porous layer so that water cannot get through. Nano-coatings use polymers to coat the surface between the pores of the wood, making it superhydrophobic. What’s more, some of the nano-polymers on the market today have bacteria- and UV-blocking properties, preventing wood from rotting, forming algae, or discoloring in the sun. This makes nanotechnology-based wood surface treatments a grade above traditional products. How wonderful would it be to never again have to wipe your car windshield, defog your bathroom mirrors, or clean your storefront windows? So-called “self-cleaning” nanotech solutions are available to do just that. Nanotech glass coating works by covering a surface with hydrophobic (extremely water-resistant) and hydrophilic (extremely water-absorbent) nano-polymers that work together. As fluid lands on the surface, it is repelled from certain regions and attracted to others, which serves to guide its flow. This works not only with water, but also with mud or paint, making it very useful for home renovations, or even for more specialized tasks like protecting storefronts from graffiti. As anybody that has spilled red wine on their shirt knows, fabrics are extremely absorbent. There are dozens of handy remedies to clean these stains, but prevention is better than a cure. 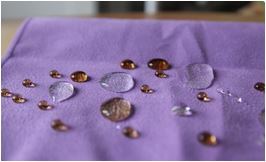 Today’s nanotechnology products work as water-based sprays that evenly coat any fabric, making it superhydrophobic. These are very useful for couches, clothing or linens, so that accidental spills are never again a concern. However, be careful: unless you want to play a nasty prank on someone, never use nano-coatings on towels! These formulas are so effective, even the most absorbant paper towel won’t pick up a single drop of water. Shoes and boots are frequent objects that require protection from the elements. Whether made from leather or fabric, shoes are made from porous materials that need to breathe to be comfortable. However, traditional protections use wax that seals off the shoe’s surface. This protects it from the elements, but removes its breathability. Nano-coatings do not have that side effect, and instead protect the shoe or boot from getting wet without blocking the passage of air. These last a very long time and are useful in any season, from spring rains to winter salt stains. Concrete and bricks are hard porous substances, so it will absorb water and be damaged in winter. It is difficult to protect large areas of concrete against the elements, but select surfaces can greatly benefit from waterproofing. Protect and waterproof concrete with a nano-coating indicated for porous surfaces, and spray it liberally on strategic areas, such as brick sections of backyard decks, basement concrete floors, or near the ground drain in the garage. What’s more, this surface treatment will also protect against the common discoloration from UV rays, while stopping the growth of algae or fungus. Like other fabrics, carpets need protection from unwary wine and coffee drinkers. In an office environment, protecting the carpet could mean the difference between a good and bad first impression with a client. At home, stained carpets can be very expensive to clean. Treating the carpet with the same fabric protection will ensure that any future spills will be wiped away effortlessly, leaving your floors looking clean and preventing stains. Applying nano-coatings to carpet is actually much more affordable, faster, and easier than paying for periodic steam cleaning services. There have traditionally been very few surface protections for windshields: most people wait for their car to get dirty, then clean the windshield with wiper fluid. This can sometimes leave unsightly streak marks, and most fluids are hopeless against greasy messes like bird droppings. 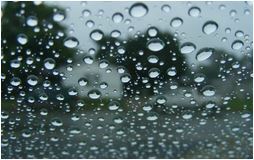 Using superhydrophobic nano-coatings on a windshield is a distinctly modern invention: water droplets are guided off the glass surface, and other fluids cannot stick. This leaves the driver’s field of vision completely clear, leading to safer driving experience. Almost all gear for camping is made to be resistant to the elements, but there are some noteworthy exceptions that can be frustratingly susceptible to water damage. 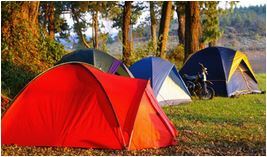 Use a nano-coating that is indicated for porous materials to protect tents from rain and morning dew. Backpacks are another excellent object to protect, since they need to keep whatever is inside them from exposure. Glass doors tend to collect a lot of grime and soap scum after a few uses, while shower curtains will absorb these and provide a breeding ground for microorganisms. Both should be protected, not only for aesthetic but hygienic reasons. Curtains are best cleaned with a nano-coating for porous surfaces, while glass doors need to be guarded with non-porous coatings. Both will guard the surfaces from accumulating water, and both will reduce the amount of time and money spent cleaning the bathroom. Most decks and patios are made from wood, stone or brick, and are very expensive to build. Because these are porous surfaces, they absorb water, ice and UV light very easily, so will begin to change for the worse in just a few years. Porous nano-coatings are a great way to protect deck & patio surfaces. Not only will it make them superhydrophobic, it will also stop discolouration from sunlight and prevent the growth of algae and fungi. Treatment is only needed once per year to be totally effective for all seasons. As careful as we try to be, the truth is, accidents happen. When it comes to upholstery such as sofas, love seats, or cloth seats in your car, it’s extremely frustrating when we spill a cup of coffee or soda. Whether as furniture for homes and offices or as seating for cars and boats, upholstery always benefits from surface protection technology. Like most fabrics, they require an advanced coating treatment specifically designed for porous surfaces, which will protect upholstery from wine, coffee or ketchup spills from even the most careless user. Leather jackets, suede shoes and soft hats are each susceptible to the elements, and can be damaged beyond repair if exposed to too much humidity or water. Suede in particular is very absorbent and stains easily, while leather’s texture can be ruined after long exposure to the elements. Traditional leather treatments work well to protect, but they need to be reapplied very frequently. The effects of nano-coatings last much longer and protect leather or suede equally well. One of the major advantages of nano-coating technology is the fact that it can protect screens from scratches. This includes the sensitive screens of laptops or smartphones, which are now able to resist keys, sharp instruments, and even scalpels from damaging them. Applying these coatings can be tricky: it is important not to get any of the spray inside the circuitry. To do this, start by taping down any openings on the device, such as the speakers or the headphone plug, then spray the surface that needs protection. This new and exciting nanotechnology is revolutionizing the way manufacturers are developing products for the mass market. Handbags and purses are among the most expensive accessories available and are prized as status symbols in addition to their utility. They are an important investment, so many women want to make sure that they are protected from water, dirt, or other undesirable materials that can damage the look or functionality of their favorite purse. Nano-coatings that work on leather, swede or fabrics are best and will keep the bag looking like new all year. Especially when it comes to high-quality designer purses, a water repellent spray is a very small investment to make in order to preserve the look and integrity of the purse. There are videos online that show cars that are impervious to getting dirty. Mud and water just roll off of them as they drive through the harshest conditions unscathed. While the videos shows cars being professionally treated, the nano-coatings being used are available to the public today. The coatings for vehicles use superhydrophobic and superhydrophilic nano-polymers to guide fluid droplets away from a car’s body, never letting them stick to the surface. The time, savings, and effort saved from avoiding frequent visits to the local car wash are more than worth it for pretty much anyone who owns a vehicle. The really technical explanation of hydrophobicity; anything that is nonpolar (hydrophobic) is when there is no difference in the electronegativity. Take for example H-C the H and C have similar electro negativities therefore they are non-polar or hydrophobic. Water is polar because the difference in electronegativity between the O and H is quite large. The general rule is like dissolves like so since water is polar anything else that is polar will be dissolved in water. Oil is non-polar (hydrophobic) because it contains H and C and thus does not dissolve in water. More simply said; hydrophobicity can be thought of as the “opposite” of surface tension, which is a property that makes a liquid sticky to a solid object. For example, have you ever noticed that a drop of water on the underside of an inclined plane will slide down the surface rather than immediately fall off? This is because the surface tension of the object. Super hydrophobic technology revolutionizes surface tensionand crafts it to our liking on a sub-molecular level creating unparalleled water repellency.